Guadalajara is Mexico’s second largest city and deemed one of the safest in Mexico, so it seemed like a great place to get comfortable with the country on our new adventure. The night before our departure was its own adventure, spent clearing out the apartment and leaving us with 1 hour of sleep, severely exhausted and slightly delirious. 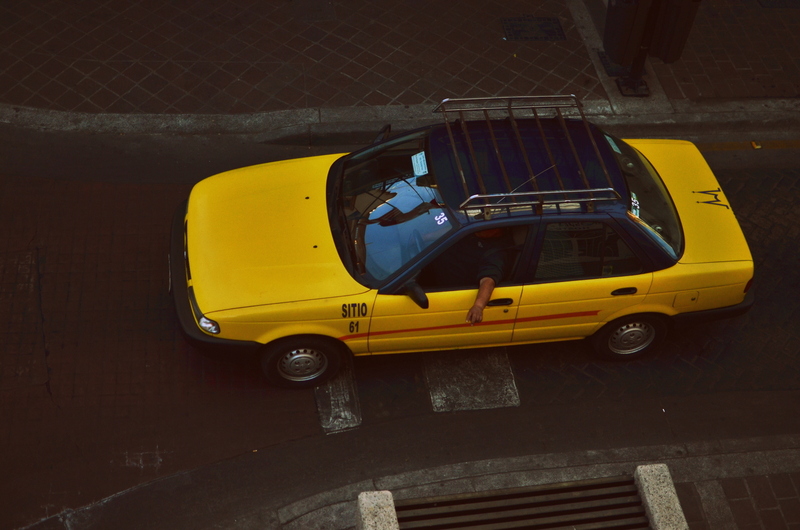 After landing we grabbed a cab to our hostel in an older part of historic Guadalajara. 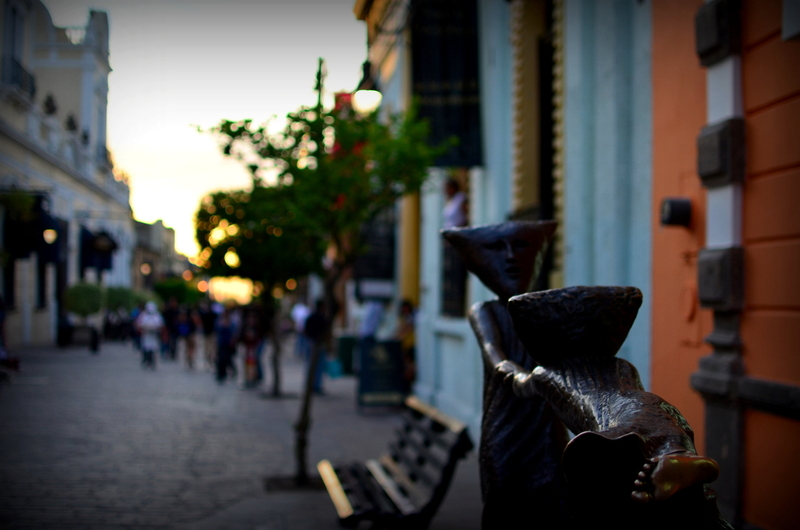 Our itchy feet had us roaming the streets and I was pleasantly surprised at how relaxing the atmosphere was. We stumbled upon a plaza dedicated to the artist Pablo Neruda filled with street vendors offering tacos, fresh fruit bags, fresh potato chips with salsa and lime, clothing, toys, you name it. The warm breeze brushed our weary faces as we watched kids playing soccer next to fountains and heard Spanish chatter everywhere. I could recognize that this historic city was going to be a great place to explore and immediately regretted not having my camera at my side when everything was so new and fresh in my eyes. I shot almost everything with my new 35mm prime lens, and I think this might be my go-to for street photography. 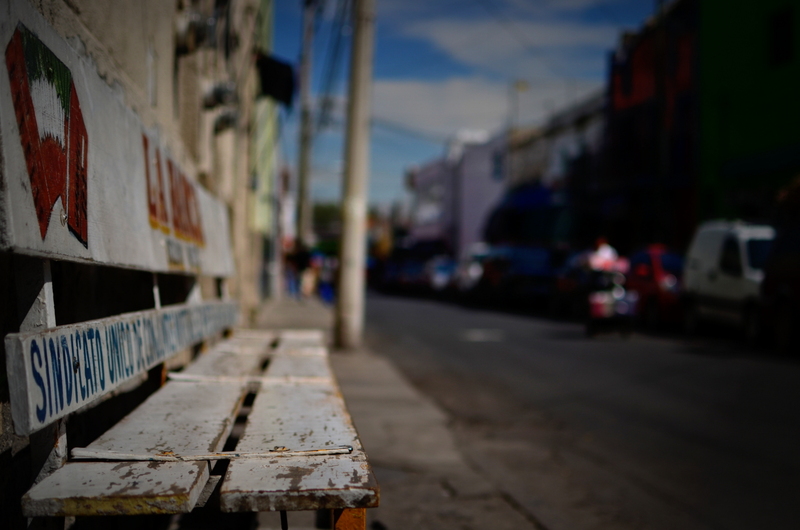 Exploring Guadalajara proved to be an exhausting and worthwhile experience. 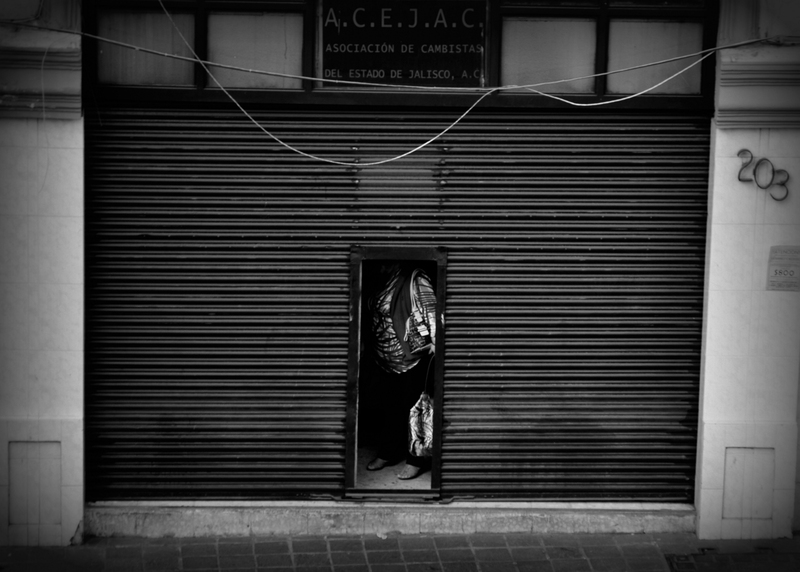 Using the Lonely Planet’s Guide to Mexico we quickly started seeing the traditional and exciting sides of the city. Buildings showed their age with hand carved facades and small balconies at almost every door sized window with full wooden shutters. 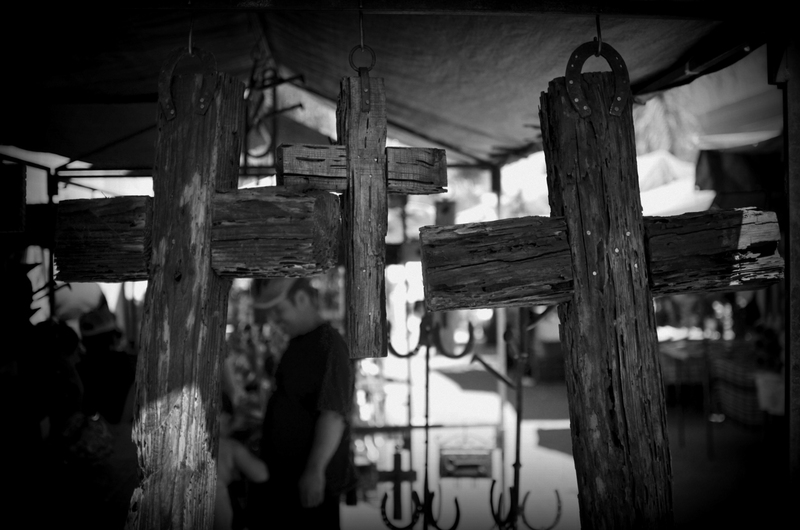 There were beautiful churches surrounding plazas teeming with Mexican citizens wandering about their daily routines and vendors with tables around almost every corner. We found ourselves on the outskirts of the city one day in a slum of sorts with tiny little shops offering specialized crafts in areas that I bet most would find a little uncomforting. But those areas seemed a little more authentic just a few blocks away from the cultural attractions. The massive wooden doors of the cathedral were opened up one day and we found ourselves in a cavernous church watching a couple tie-the-knot. 2 lb bags of fresh cut watermelon, pineapple, mango, papaya, and cucumber (about $1.75) became an everyday mid morning staple. With fresh torta ahogadas (drowned pork sandwiches with spicy chili sauce), huevos al gusto con chorizo with freshly squeezed jugo najarana (the best orange juice I’ve ever had for about $3.00) my stomach quickly became fond of Mexico. Most meals run us about 6 bucks for two and they are a treat for the taste buds. Just tonight we enjoyed two quesadilla gringos (lengua y bistek) and a grande horchata at a roadside taco stand. We then walked over toward the cathedral plaza and watched a Bruce Springsteen documentary while eating a freshly steamed corn on the cob with mayonnaise, cheese, and chili sauce with a backdrop of horse drawn carriages, children playing with bubbles, and a newlywed bride and groom enjoying the same treat. 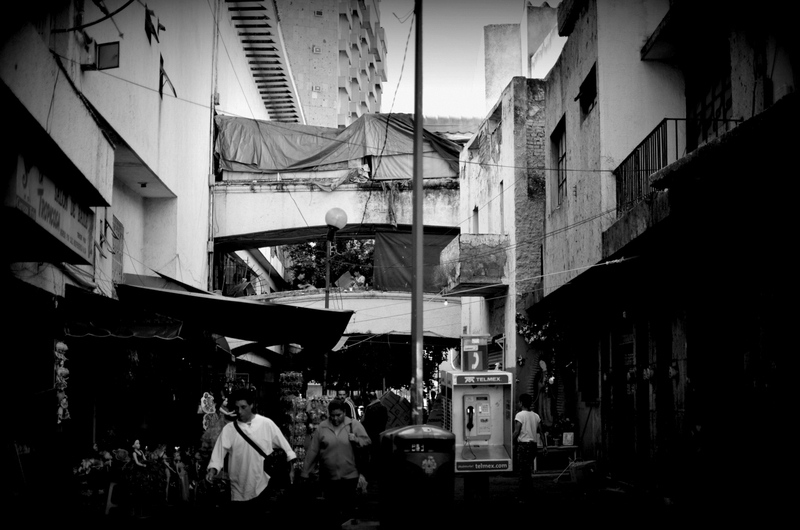 On Saturday we found ourselves in Tlaquepaque, an up and coming artisanal suburb of Guadalajara. The upscale interior decorating stores lined walking streets and led to a carnival-like setting in the central plaza with, again, food everywhere. Leafy green plants, palm trees, and flowers were set with the background hum of music and children running about. A slowly drawn out Mexican sunset left peach colored light on two ornate churches while families strolled around enjoying a lazy weekend night. Tonala offered the best street market that I have been to. 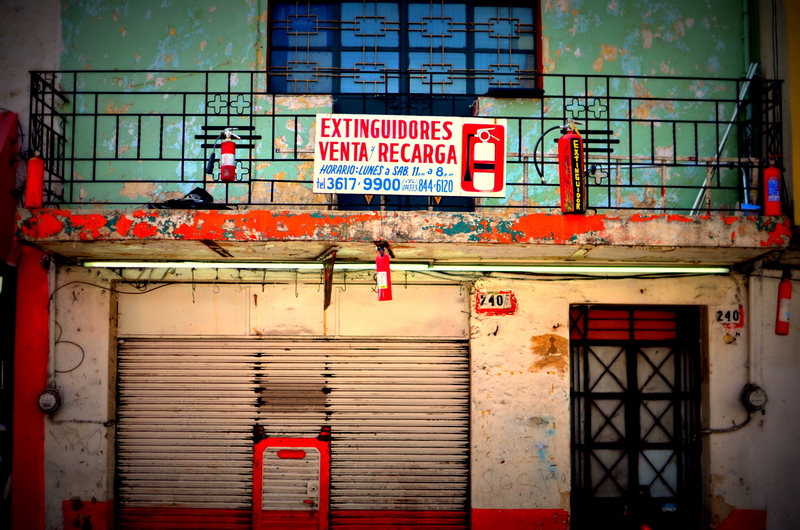 The bus ride there felt like we were really in Mexico as streets disappeared into dusty untamed side roads with rocks, broken down vehicles, and buildings that looked like they gave up on life years ago. Closer to town the area started to take shape with artisan shops everywhere showcasing the talents of the craftsmen and what they deem as art. Unique large pieces of pottery, metal work, wooden transportation vessels turned into large scale ornaments, and galvanized stars filled the sides of the narrow streets. After getting dropped off in the city center we immediately were swallowed up into tents and shacks that were teeming with shoppers. 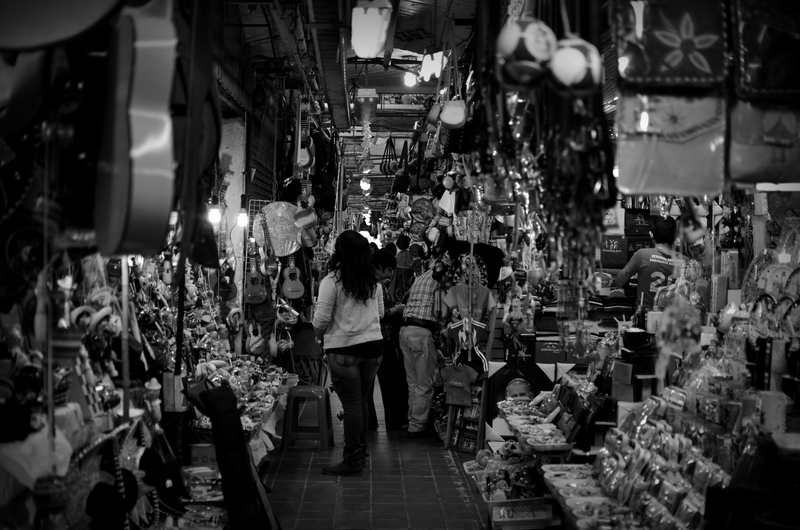 This market was not for those with any level of claustrophobia as foot traffic bottlenecks for minutes at a time when a craft catches a shopper’s eye. Getting out of the tented area brought us through the side streets of the suburb with even more tables and workshops with open doors in every direction. After wandering around the side streets for a while we had to give our legs a break and sat under a straw hut with wooden benches that were more than inviting. 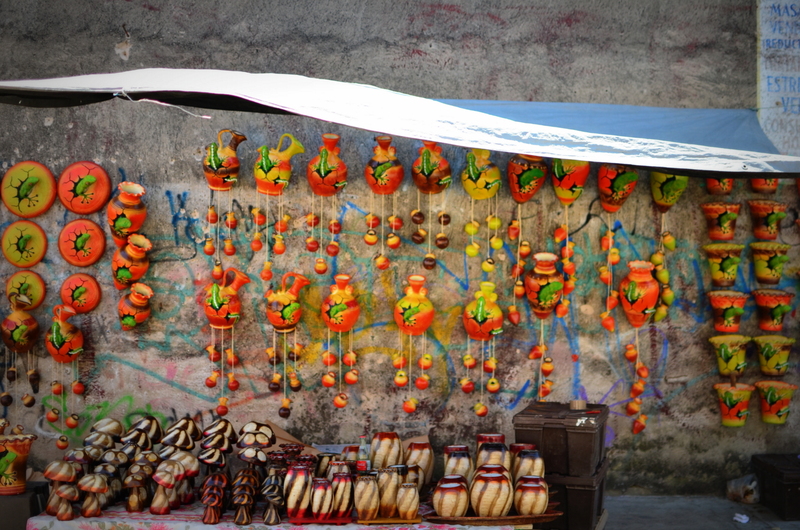 A separate part of the market had even more Mexican crafts to offer on dusty streets on this hot afternoon. I think it impossible to see everything the market had to offer in one day. After nearly passing out we had the best burrito I’ve ever tasted cooked in front of us for next to nothing. The bus ride made me wonder how these metal tanks stay put together on some of the roughest roads I’ve ever experienced. Some bumps literally had us airborne off our seats while those around us barely even blinked an eye. We are wrapping up our stay in Guadalajara and moving along tomorrow. We’ve met some very inspirational travelers the past few nights that have shed light on some fears and have spilled their views on the world to us in ways that I can carry with me forever. 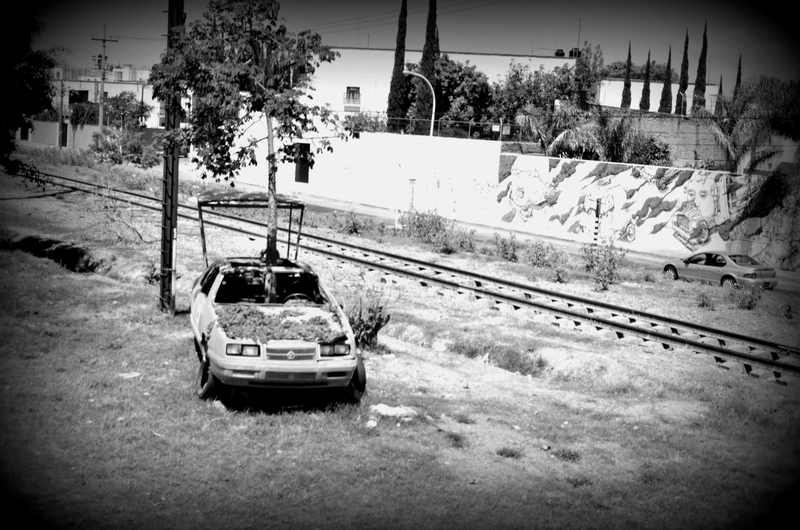 An older chap from England started his trip in the Northern border and is doing an entire loop ending up in Tijuana. 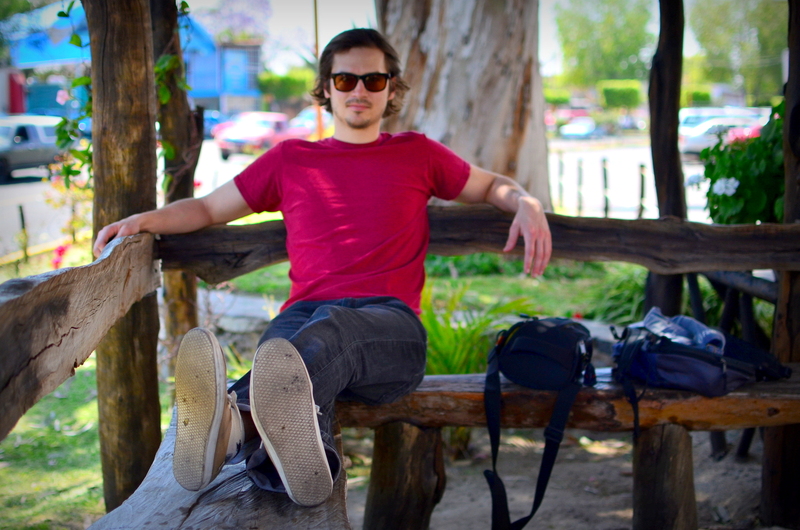 He’s traveled the world mostly by himself, seen all but 3 countries in South America, and believes that traveling is the best way to connect with people and the world. 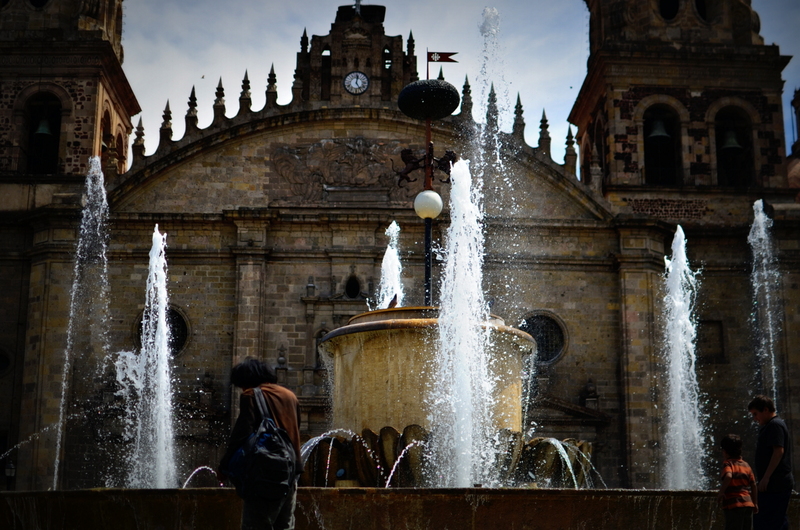 A younger man from Ecuador gave us all his opinions and inside information on the best places to see from his journeys through Central America and Mexico. He speaks about 4 languages fluently and did so with others staying at the hostel while we sat in awe, somewhat ashamed by our limited internal dictionary of languages. He believes traveling is the best investment anyone can make in this world and I agree whole-heartedly. Two Aussies just got in tonight without learning a lick of Spanish and plan on conquering the coastlines flying by the seat of their pants. After about 15 hours of flying they dropped off their bags and went looking for beer and food. They know some places they want to go and the kinds of things they want to see. The Australian way always gives me a great laugh and awesome travel inspiration. Traveling brings about an odd group of characters in a play that is too often missed out by the masses. 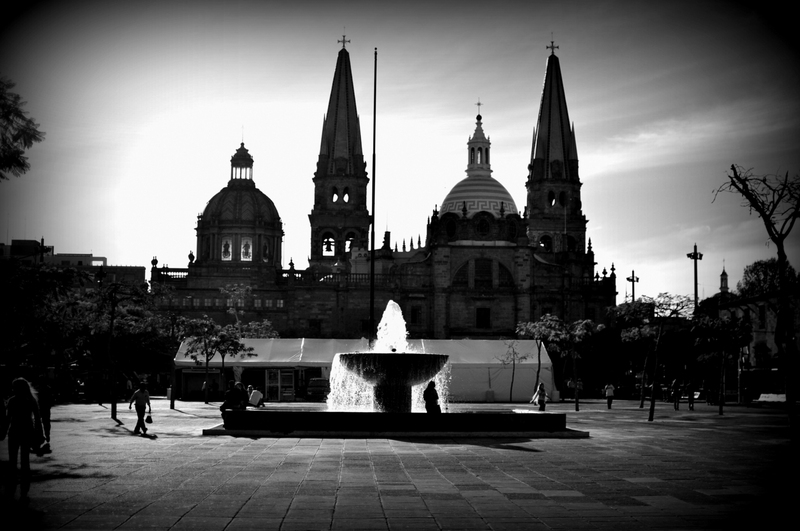 Guadalajara was a great place to start in Mexico but it’s time to move along. nice! Photos are truly fine, as I expected having seen your other work. Did you stay at the Hotel Mi Puebllito? 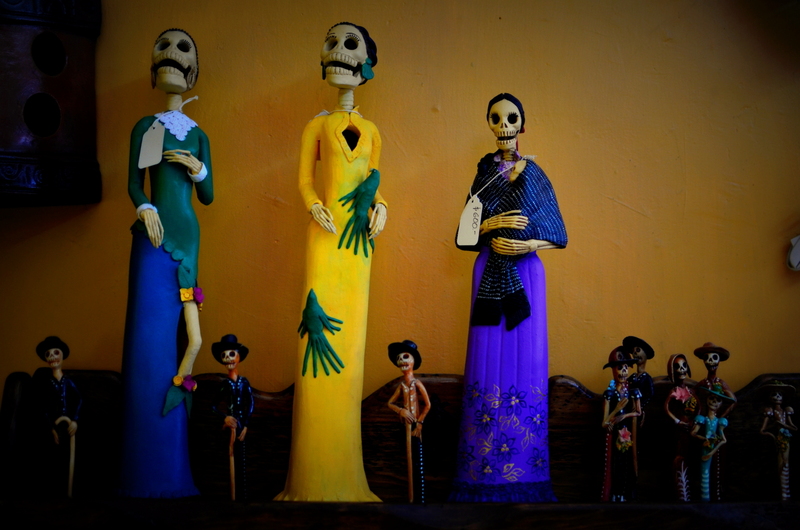 Your description of the markets reminds me of a friend who visited Mexico for the first time some years ago – she loved the clay figures, and bought lots, which she mailed back to the US because they would be too heavy to carry. When they got back, the box was full of pottery dust and a few fragments. 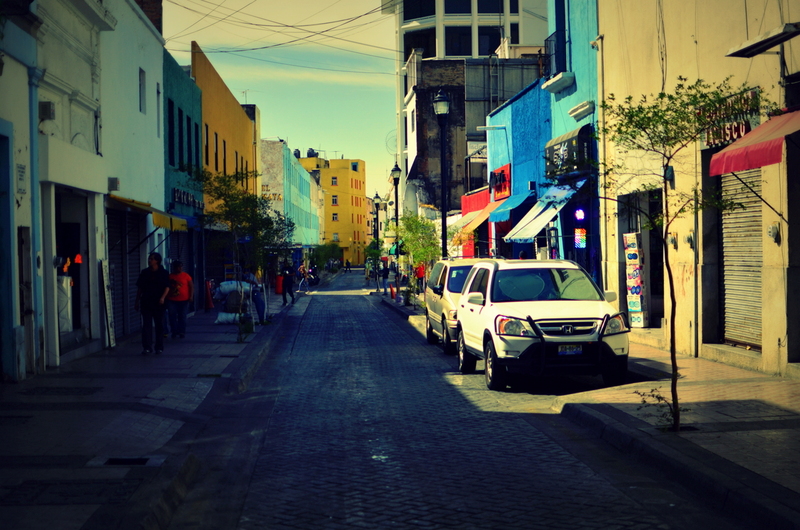 Re Pablo Neruda – the square may have been named for the Chilean poet of that name – major poet guy. Re Australians – great travelers, in general, who have fine spirit, good health, and know how to travel with economy. Sarah! Thanks for checking this out. We stayed our entire tenure at a hostel downtown called Hospedarte Hostel. They had a buy 3 get 1 night free deal so we didn’t even consider anything else. Looking at all the clay pottery had me wondering how they transported them on the trucks to get to and from the market. We saw one truck loaded to the gills with probably around 1,000 medium sized planters and I had no idea how they would make it to their destination. I thought I had the whole Pablo Neruda thing a little mixed up in my head and a quick google search would have answered that, whoops! In Guanajauto now, moving along soon. Awesome to hear from you Dan and Alyssa…your trip seems to have started on a good note….keep the pictures and dialogue coming. Everything I’ve heard about Cuba sounds fantastic. Guadalajara was awesome but after about 4 days we were ready to move along. We could have stayed a little bit longer but there is a lot more that we want to see in Mexico. Thanks for stopping by! this is amazing, man! loving the pictures. Really interesting to hear of current travels to these areas. 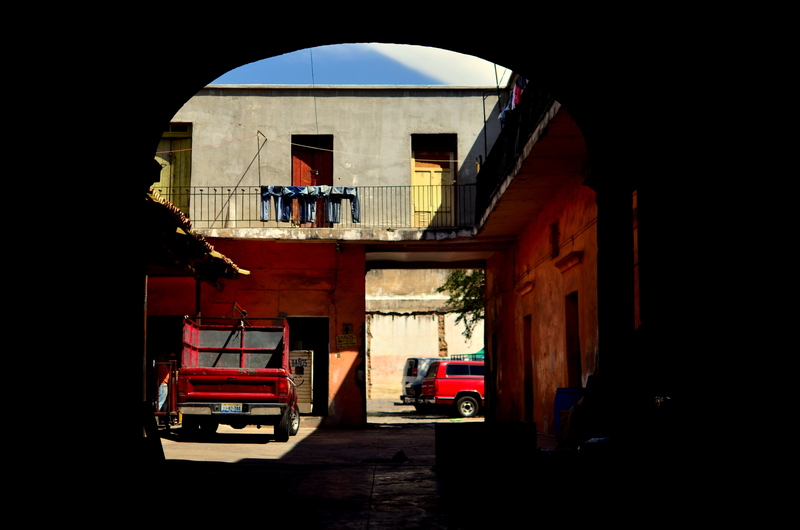 I lived in a teeny town called Los Gavilanes, on the outskirts of Guadalajara about 35 years ago. Enjoy! Eat a Nuez Paleta, roadside Carnitas, and try a fresh coconut wedge with lime/salt/chili powder, if you haven’t already. If you head down the coast, hit Chamela and Tenocatita. You won’t be sorry. You have some very interesting photos here. Lots of color, lots of sunlight. Sunlight. That is why Vincent van Gogh left Holland and lived and painted in the south of France (Arles). Your photos are drenched in sunlight. As I get older my eyes aren’t as good as they used to be, so I love lots of light when I read. I love these three places. Great photos. This made me feel like I was back in GDL visiting family. Breath-taking prose and photos. Promptly took me back to my stay in the Yucatan several years ago. Still cherish those priceless roadside discoveries and simple pleasures of the palate. The best discoveries are the ones that you aren’t looking for and this place had plenty of those. Thanks for the comment! Absolutely gorgeous photos! Also very informative, I will be making a visit! I admire your spirit of adventure. (Oooh, when I said that I immediately thought of Up!) I wish I was as brave — and young — as you both are. Though, one day, I am determined to visit Mexico City. Despite the purported dangers I can’t believe it is any worse than any other large city. But, then, I could be wrong. . .
Congrats on being FP’d and hope your travels continue to be happy. Lovely post and pictures! Enjoy your time in Mexico..some of my fav places are Oaxaca, Chiapas and riviera maya (tulum and playa del carmen)..there are so many places to go and the food is amazing everywhere. Great photos. Did you enjoy the music in Tlaquepaque? Your pictures are absoultely breathtaking. Thank you so much for sharing them and allowing me a few minutes to indulge. Great post. Beautiful photos with interesting news on Mexico. Compliments. Greetings from Italy. 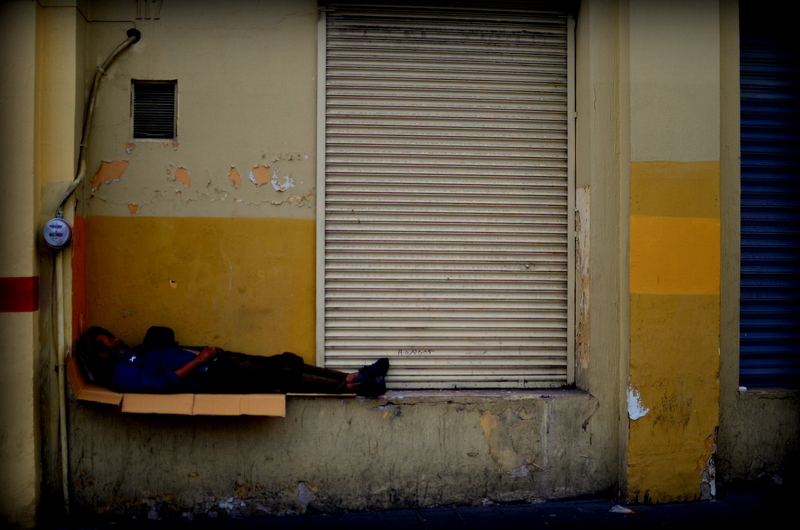 I’m back in South America again – Brazil this time – but this post has further inspired me to head up to Central America. Thanks! My kids and I went when they were very young to met their father’s side of the family. 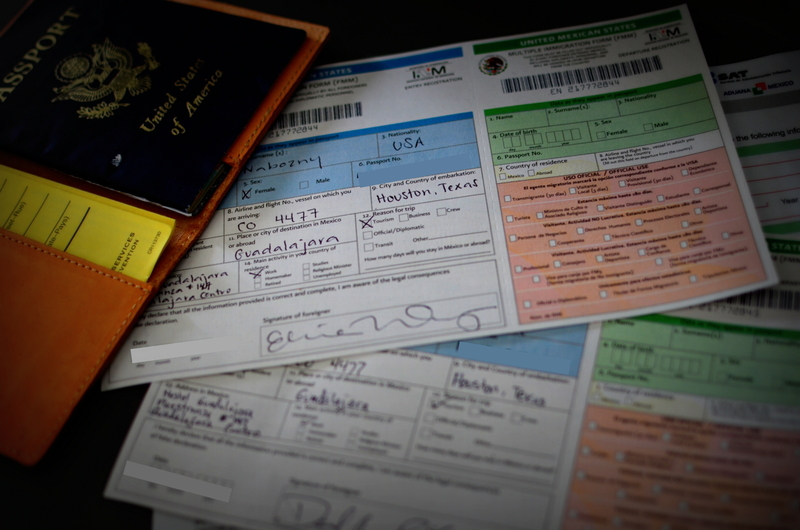 Tho I’m Mexican American it was my first time ever going to Mexico, so I really didn’t know what to expect. Your photos cover a lot of what I saw. It was funny to watch people stop to listen to me and the kids speak – English without an accent. I became ill my first week there and World Cup was in full swing couldn’t tear people away from their tv’s, so I was quite disappointed overall. Once of these days I might return but thanks for the memories. Excellent post! We live in Mexico City and, with all the negative press about Mexico, it is always nice to read something positive. Best of luck on your journey through the country! 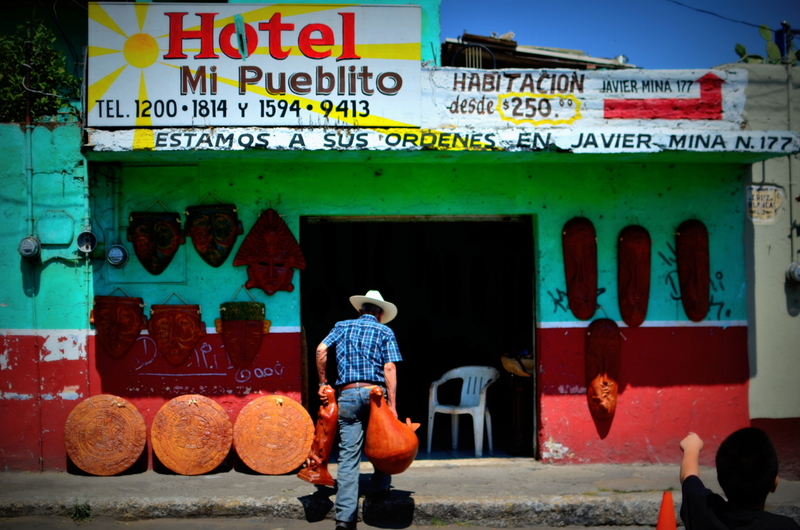 Mexico is a great country to travel from what we’ve seen thus far. The people have been very kind and friendly and the food, culture, and scenery has been superb. Family life has a huge presence here and it’s a great thing to see in this day and age when family values seem to be less of a priority. Mexico City will be a destination soon and I’m looking forward to seeing what it has to offer. I love the music from this part of Mexico, but I have never been there. It looks like a colorful and vibrant city. BTW, Pablo Neruda is a Chilean poet, not a Mexican artist. Glad to see however that the Mexicans revere the poet enough to give him his own square. Glad I stumbled across your blog. I will enjoy reading about your adventures in central and south America. All the best. So cool shots! 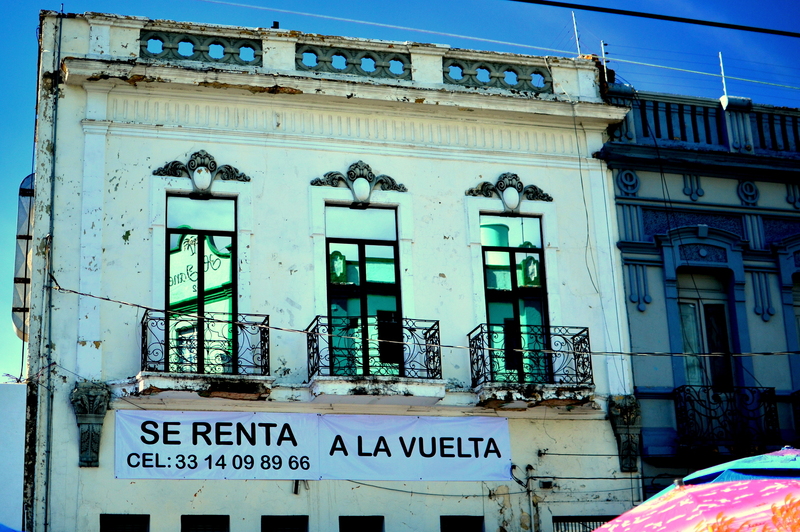 I hope you can stop by Mérida the biggest southestearn city, its not quite big thought. 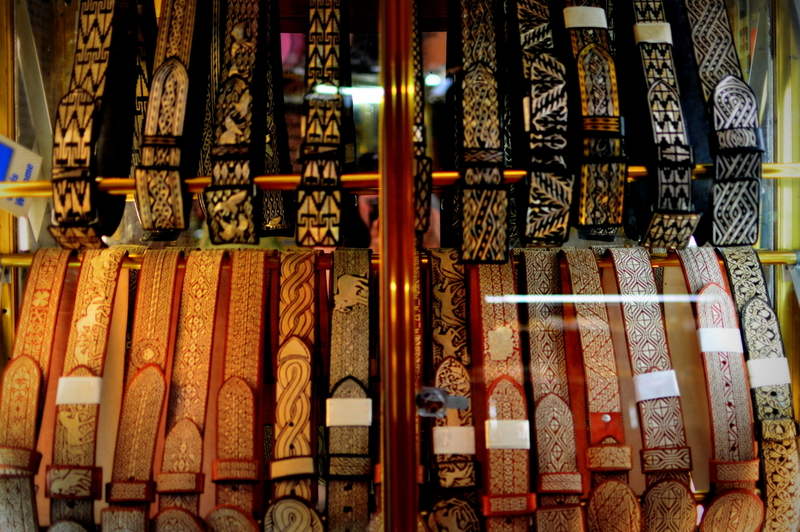 Here we have nice culture items to shot too, a different style of life. Good luck on your travel!!!! Que te diviertas conociendo mi lindo México. Beautiful photos, the colors are really gorgeous. Well captured photos..congrats for being on FP! Great post + photos though there’s one mistake: Pablo Neruda is a Chilean poet/writer and not a Mexican artist. Wow, very beautiful colors and great subject matter! What a beautiful place. I just happened to get to this post through a link on wordpress and now I’m hooked. Really digging your blog. Great post & great images. I appreciate your visit to Mexico, my homeland, and the fact that you are willing to give it a try when there is so much negative press and news going on now. God willing (Con el favor de Dios) you will have a wonderful time and make new friends. Be sure to enjoy the food and go easy on the spices at first. And a little cerveza is always handy. Salud amigo! Safe and happy travels. Gracias for the kind words. My Spanish needs lots of work. Your country is quite beautiful and I learned a while back not to believe everything you hear. The press about Mexico has been awful lately. Before leaving the States to come here I swear it felt like some people were saying goodbye to me like they will never see me again. We are keeping an eye on the violence and avoiding some areas that we’ve been hearing mixed feedback about from travelers and locals. The spice advice would have been nice (that rhymed quite well) and the score currently stands at Spices: 1 Danny: 0. Thanks for the comments and for stopping by! Love the adventure you’re on! 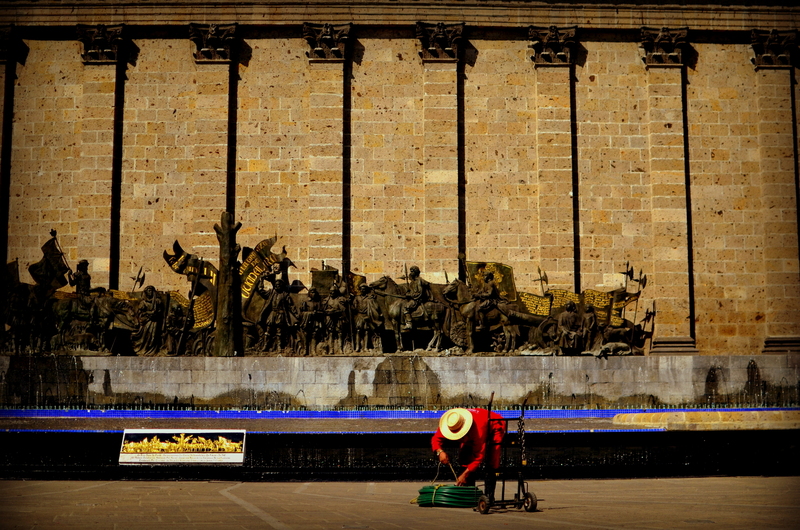 The photos of Guadalajara make me home sick – live there for 6 months as a child and then was on to Mexico City. Plan to head back there before my 40th b-day. 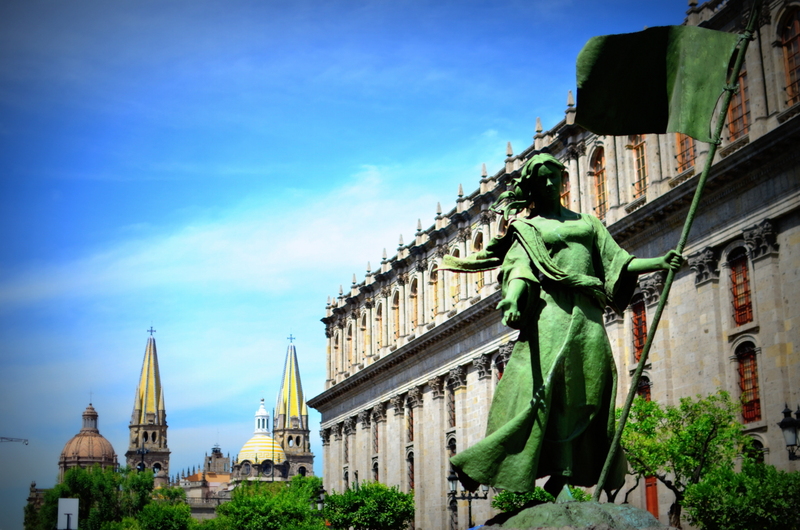 Any recommended MUST SEE’S in Guadalajara??? I was pretty young so don’t remember a whole lot. 🙂 Looking forward to following you on your journey. Have fun! 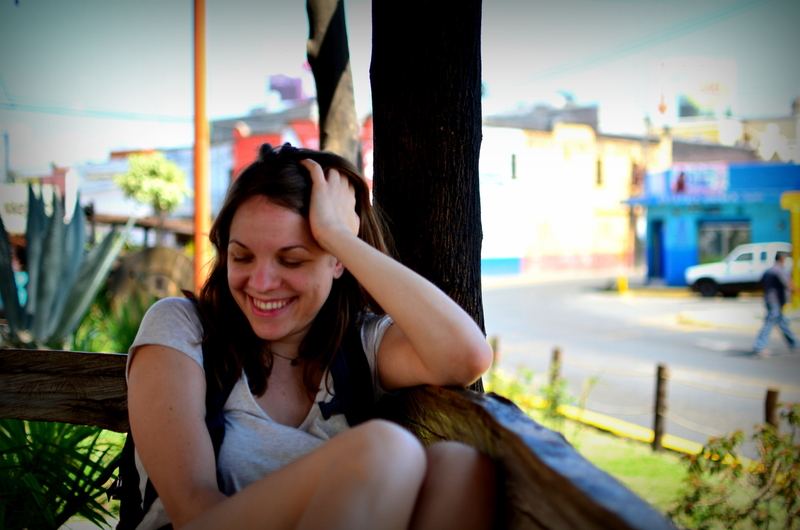 I studied abroad in GDL and it was my first introduction to Mexico. I loved it. Your photos capture it well. It’s dirty, bright, and alive all at the same time. It has a little bit of everything there. I noticed how dirty my feet became in Guadalajara very quickly after a short walk in sandals. I like the gritty side of things though. Thanks for the comment! 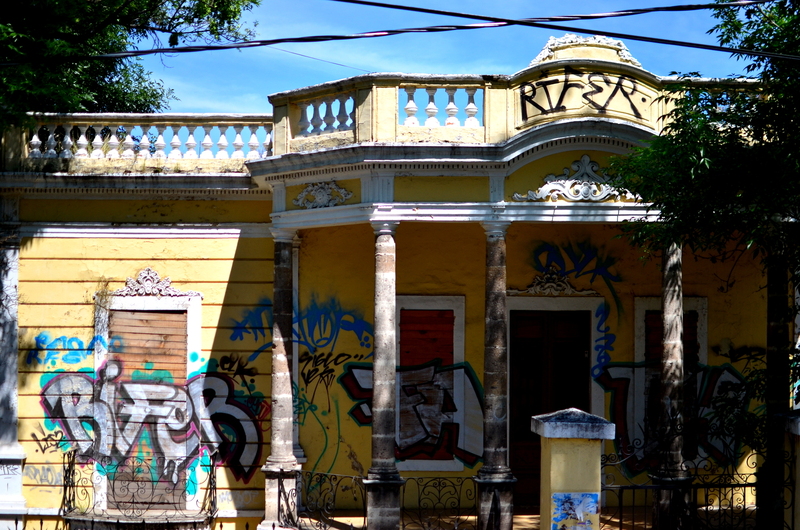 That yellow mansion stayed vacant from at least 2005-2010 without being vandalized. I last saw it in 2010. It’s a shame to see that. 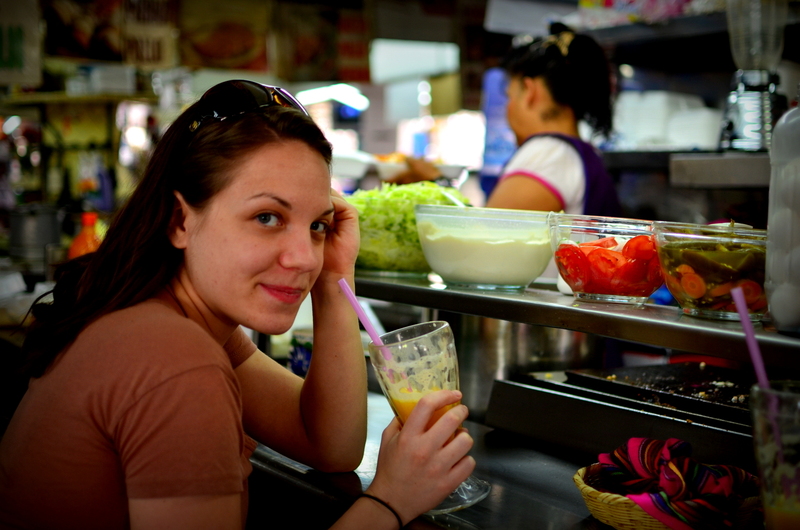 your wonderful photos, descriptions of Guadalajara and the food are mouthwatering. Ay que rico! You’re on a wonderful adventure! Have fun, and I’ll look forward to more photos. Loved the color in your photos, sounds and looks like a very interesting place! Where to next? Love the photos! Well done. We love Mexico too! We only got to travel along a little bit of the border last year (Rosarito, Tijuana etc.) but we had a ball. we would love to go back and travel further down the coast.. Thanks for sharing your photos. I love it! Very interesting and I love the way you laid out the pictures. Mexico wasn’t on my travelling radar but it is now. Nice one ! A remarkable sense of culture and adventure are greatly represented through your photographs. 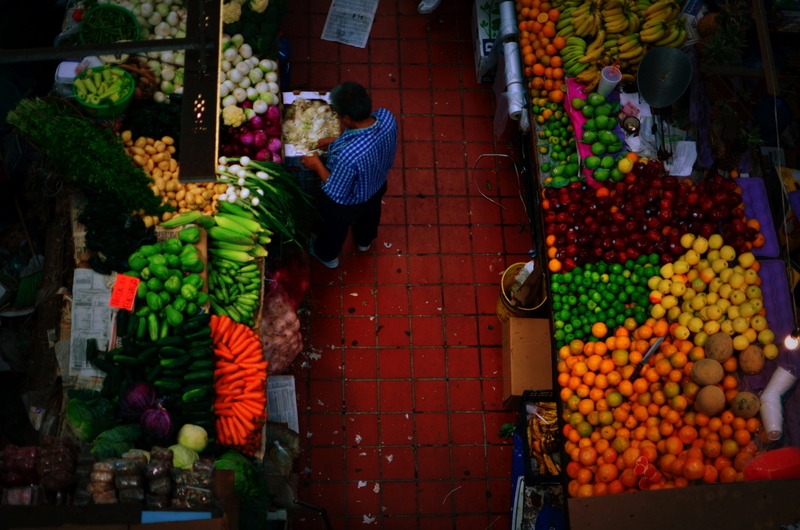 While looking at them-I could almost taste/smell/inhale the delicious fruits/food-view the great sights and hear the many sounds that Mexico has to offer. I cannot wait to travel all over the world in the future as there are so many amazing places-full of beauty, History and culture. Very pretty, but very run-of-the-mill “breathtaking”. Incredible composition in some of those photos! Love the colorful pictures, nice! Thank you for sharing your adventure! Really enjoyed your collage of photos! . . . Enjoy the rest of your time in Mexico!! Whoa! Danny! Your blog’s getting some serious traffic here bub. Congrats on the “Freshly Pressed” placement. That’s an awesome accomplishment. Keep writing. Can’t wait to hear where ya go next. I was baffled when I opened my email and saw about 200 in my inbox. Crazy. I think there should be a group trip meet up down south. I’ll find a lake house as equally antiqued down in Panama in May. You down? Thanks for sharing your experience and photos! 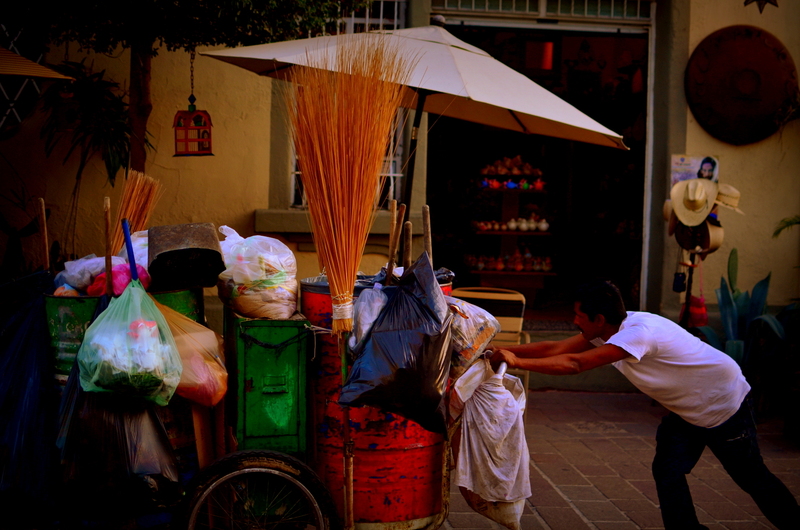 I recently took a trip to Guadalajara (and a half-day trip to Tlaquepaque), and I thought the city was just enchanting. It was an amazing trip, and I would love to return again. Freshly Pressed, congratulations! I love posts like these (I am a WordPress photographer as well) These photos are so beautiful and vivid, splendid post! Great set of photos there! I had to share this with all of you. 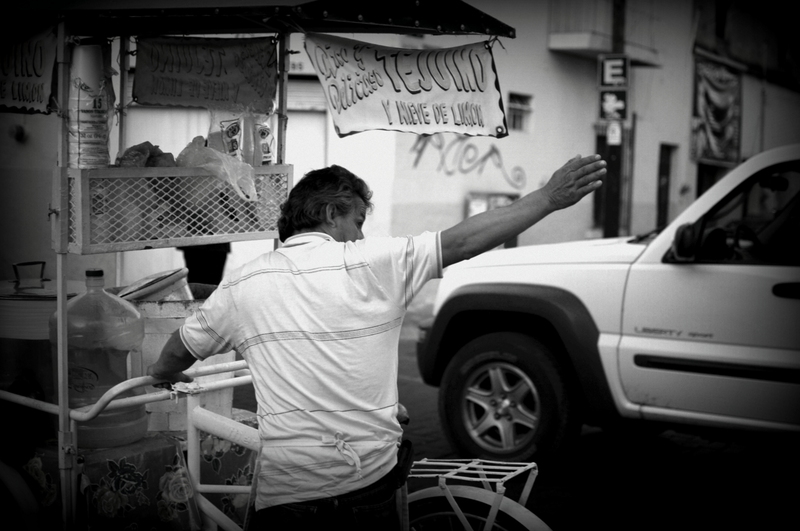 This is a truly beautiful set of photos that truly depict Mexico. I love that these are a sampling of the beauty of Mexico outside the “tourist” areas. Thanks for the reblog, it’s truly appreciated! A goal of this trip is to get to know the real parts of the countries we plan on going before they are gone the way of the do-do. Tourism is a double-edged sword in that sense. Thanks for stopping by! I knew it was a D7000! Great photos and adventure! 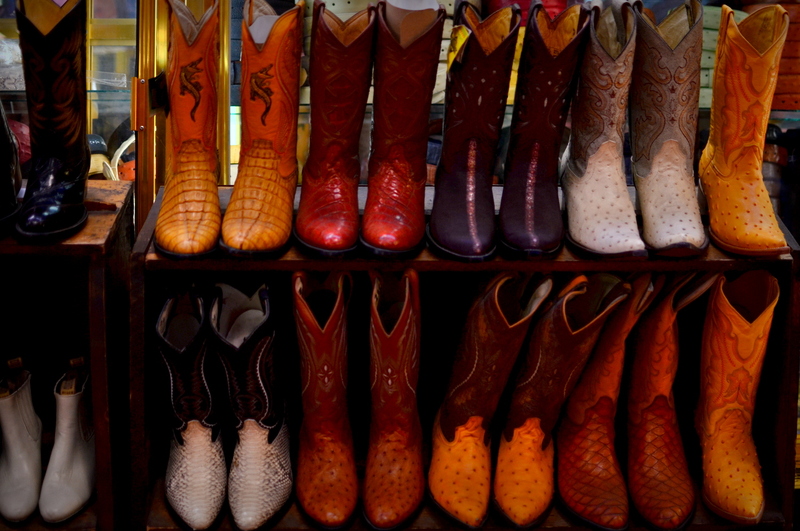 The photos and story of your travels south of the border are exciting and informative. Anyone surviving the hardships of the trip deserve a pat on the back. The color palette is something else! Thank you so much for posting this. My dad is from Jalisco and I have family in Guadalajara, we haven’t been there since I was younger than 12. The pictures are amazing. Sometimes I want to go just to take pictures out there, but it’s pretty scary. Thanx I love Guadalajara too! Great photos, magic and colorful. Love the passion. 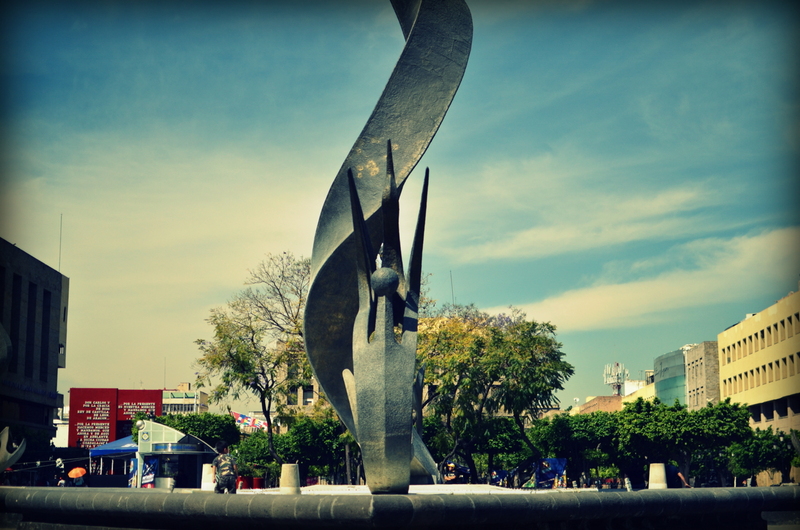 I’m from Guadalajara so I can say that you caught the essence and magic of that moment and that place. You have a great city mi amigo! Thanks for the comment! Beautiful photos! So much of what we hear about Mexico these days is from sensationalist news stories. It’s great to see another viewpoint. Nice stories don’t make people watch the news. What an incredible set of photos. It truly captures Mexico and the beauty to be found. I hope you don’t mind that I re-blogged this. I wanted everyone I know to see it as well. LOVE it! Looking forward to more of your journey, where next? I’m partial to Michoacan, which is not far from there. Of course the Pacific coast is also idyllic. Very nice post and photos; congrats on being freshly pressed! Wonderful post. Your style of writing helped me feel as if I were there with you guys. I, too, have a couple years yet to be bogged down with student loans but I’m already feeling the traveling itch. Excited for your journey! esta bien chingon este bloq ! Wow!!! Great job, your famous bloggers!!! Love you, have fun! It’s safe to say I was baffled and shocked when I opened up my email and saw it was flooded with comments. Can’t believe it got all that attention! Plenty of fun thus far, much more to come! This is my sort of photogrsaphy causing me to want to eat the contents because they are so rich and sensuous but also to reflect, see and use my brain cells to relate to who and what is there! Fabulous! Keep the spirit of your adventure alive. Travel is one of life’s greatest educations. Hope you aren’t leaving too quickly to make a detour to Lake Chapala and check out the villages — loaded with expats like me — around the lake, including Ajijic, where we live. Or come back soon! 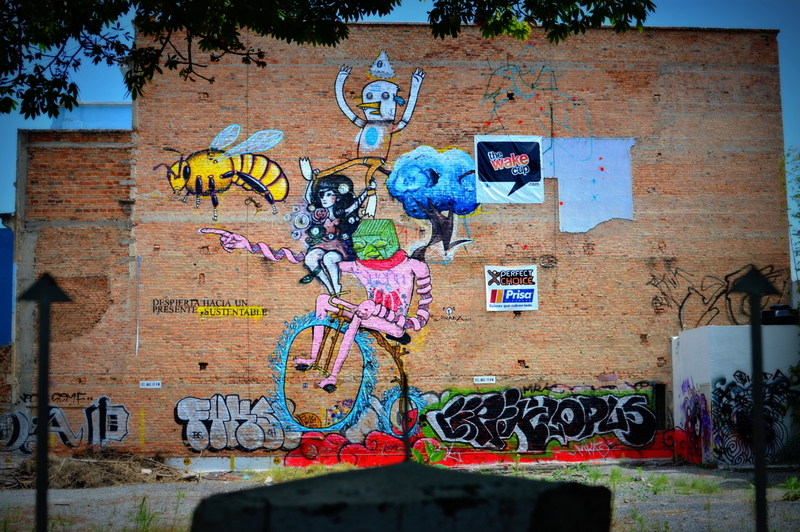 Love your pictures – we spend a lot of time in GDL and you caught the feeling just perfectly. Bet you’d get some gorgeous photos around here! Enjoyed reading about the cuisine – thanks for sharing. What wonderful evocative images. 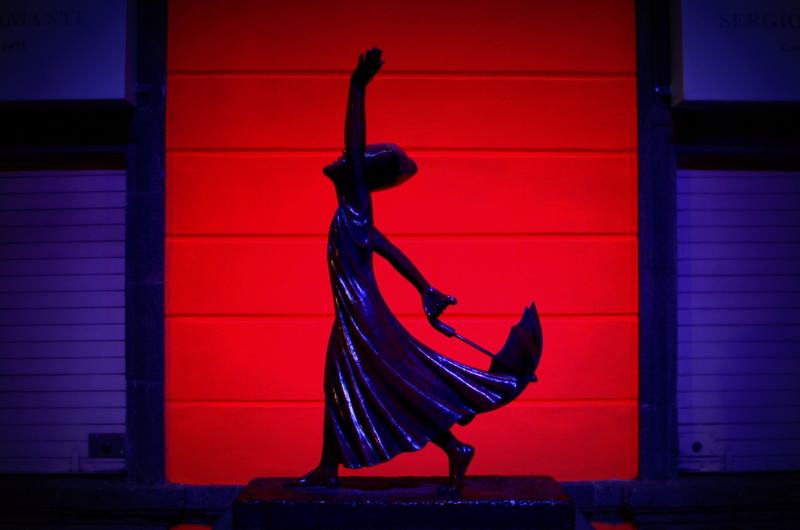 The colours are incredible and you have really captured the atmosphere – they are theatrical. Very inspiring. hey, i love your photos 🙂 what are you shooting with and what program are you using to edit? Great Post, and amazing pics, you mind if a reblog this over at http://www.therepublika.com? Reblogged this on The RepubliKa. Isn’t it funny how it often takes a foreigner’s look for a local to revisit his hometown and its beauty? 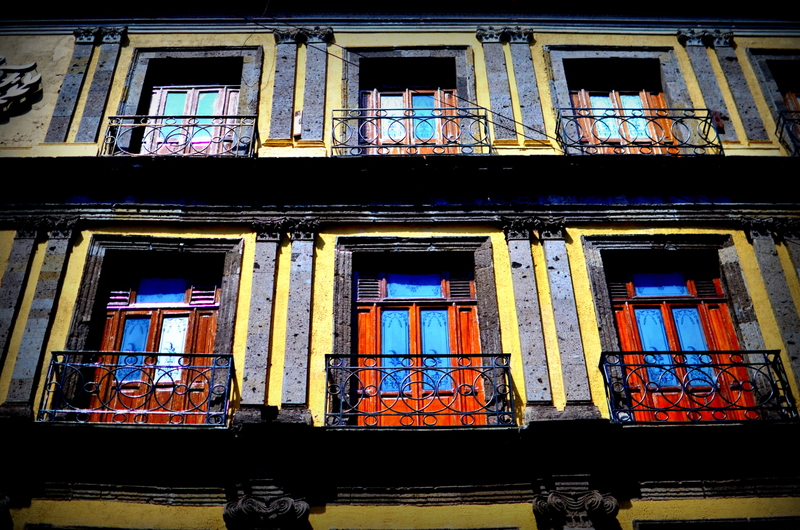 I’ve lived in Guadalajara practically all my life and I am just grateful to you for the upbeat account and the colorful pictures. I am also glad to see the positive impact on your readers. Yes, we do get a lot of bad press abroad, but especially north of the border. Thank you for not buying into all of it and for contributing instead to conveying a richer, more nuanced, and indeed more positive picture of my country. Gracias. Your photos have such vibrant colors — they’re gorgeous. I’m hoping to visit Mexico for an extended period of time after my Thailand adventure is over, so I’m happy to hear that Guadalajara offers a great (and safe) starting point. I’m from the states, and all we hear about are the terrible border problems, so your article was quite refreshing. Thanks for sharing! Never been to Mexico, I keep trying to get my husband motivated to go!Hopefully I’ll get there one day soon! I lived for three years 10 years ago. good to see it’s still as amazing as i remember. I miss the pearl of the west. Nice photos.. I’m now excite to go to Mexico this year! Thanks for the nice post! Seriously dude, what I loved about the West Coast of Mexico is what you’ve captured in your photographs and the beautifully written language you’ve used to tell your story. 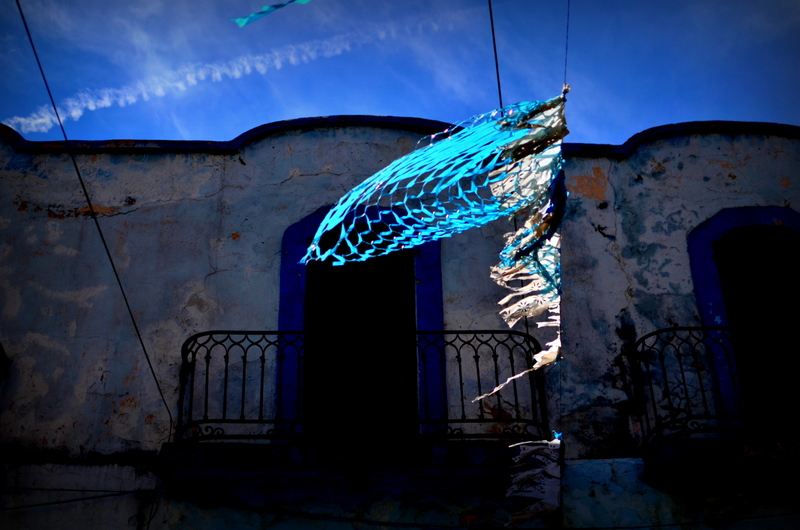 Those colors, that sharp contrast of vibrancy and wreckage, people in the sun, the textures. Wonderful. Absolutely wonderful. Thank you very much for your enthusiastic comment/encouragement. Mexico is very beautiful and is constantly revealing that fact for us on this trip. This is great stuff! I’m fairly new to WordPress, even though I have 95 posts!!! LOL! want to go and experience this wonderful city myself!! !lovely photos!!! I was in Guadalajara last year for the business trip. 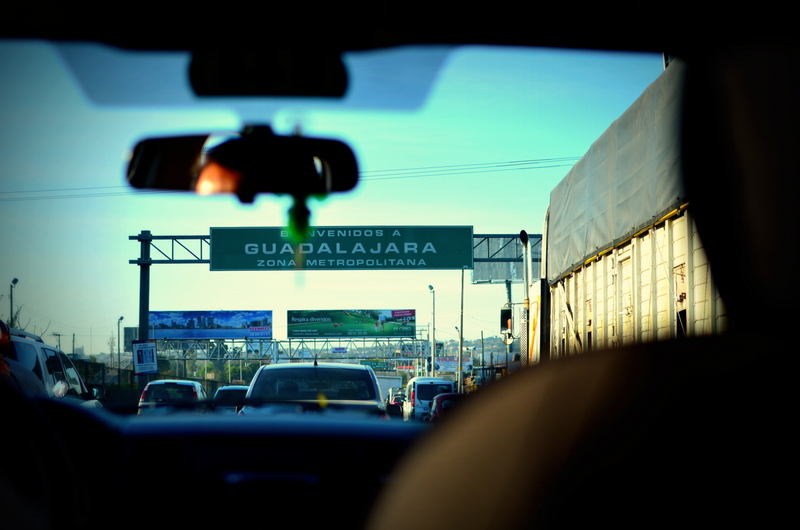 After completing my work i saw almost all places of Guadalajara. These are really very beautiful places. 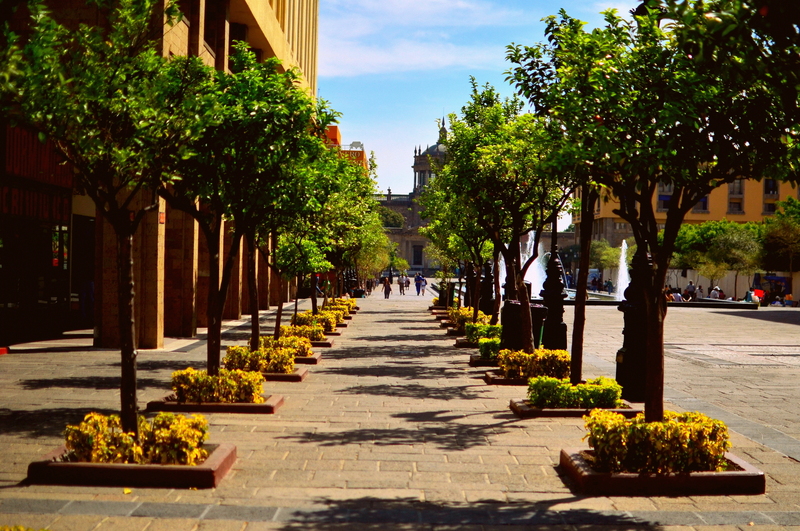 Guadalajara is really a very beautiful city of Mexico. Every weekend i used to go to see this web page, because i wish for enjoyment, since this this website conations in fact fastidious funny material too.